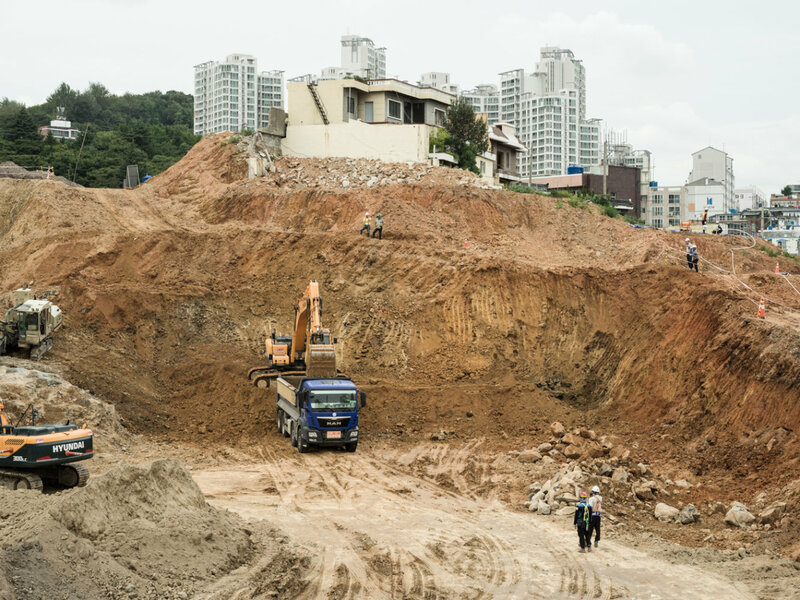 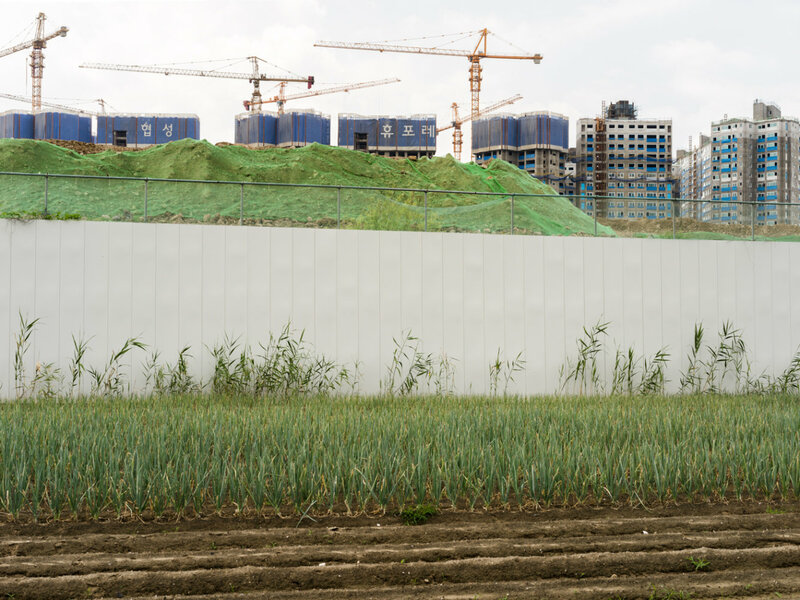 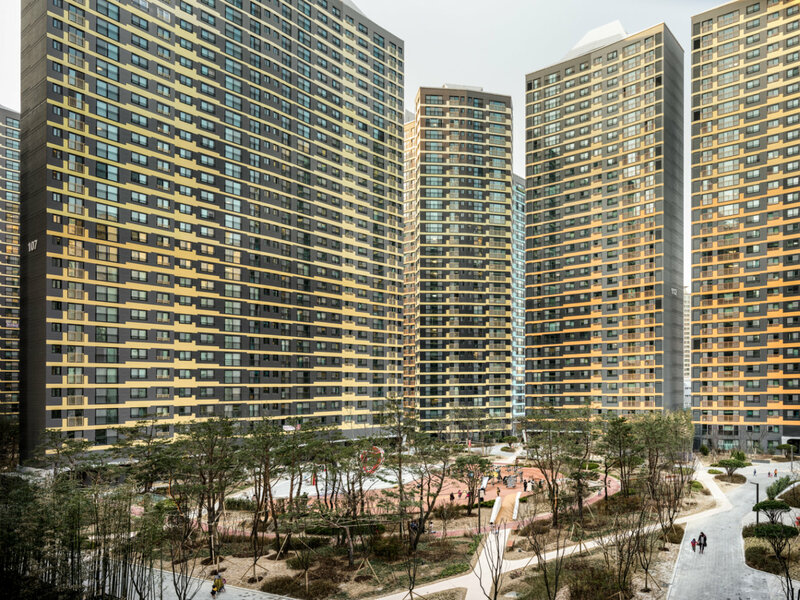 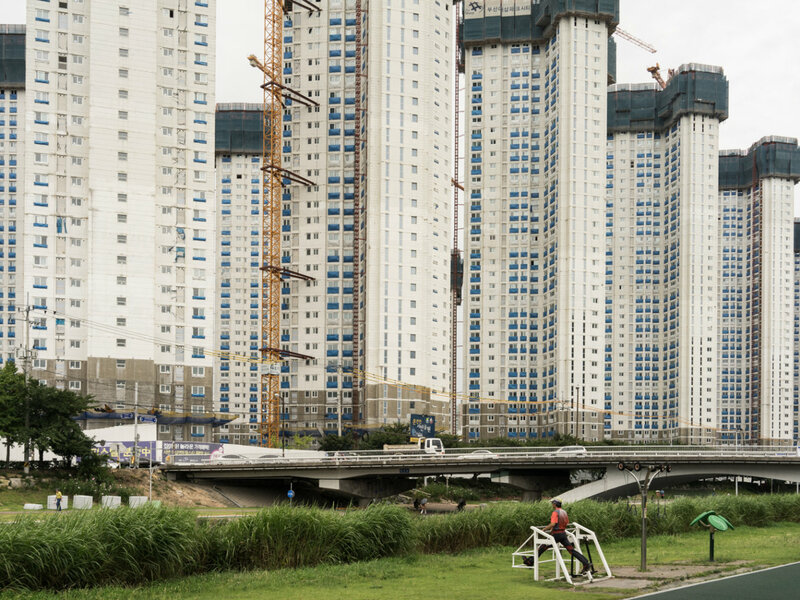 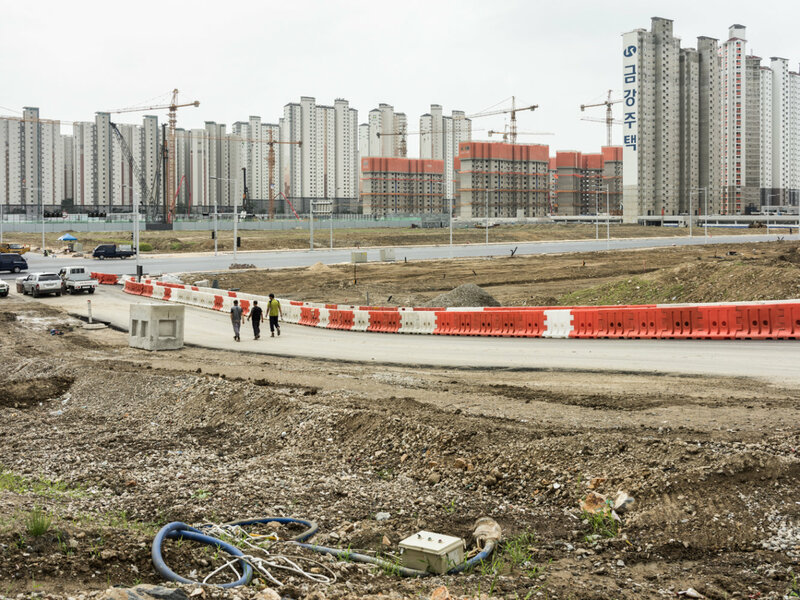 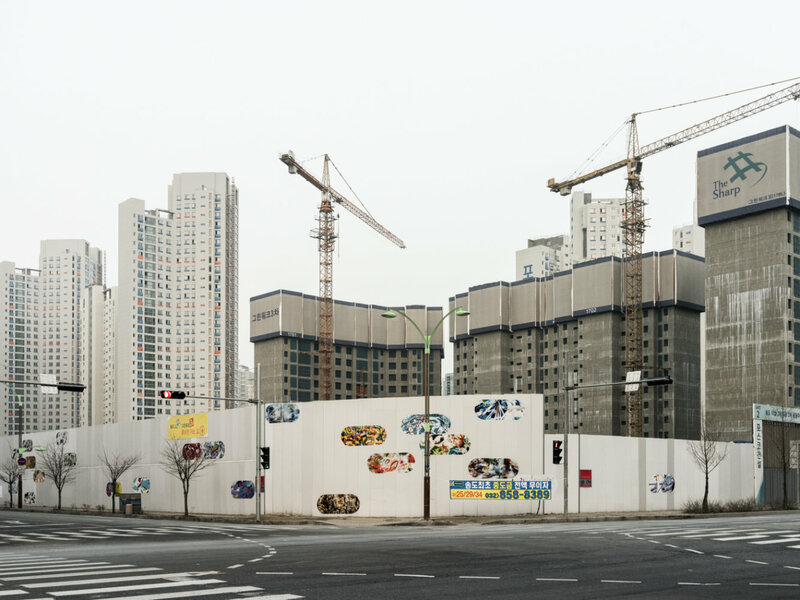 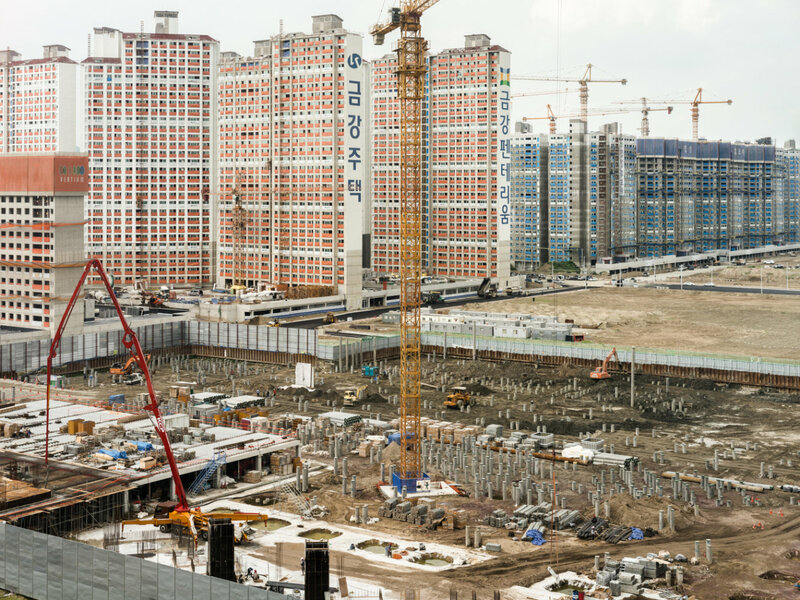 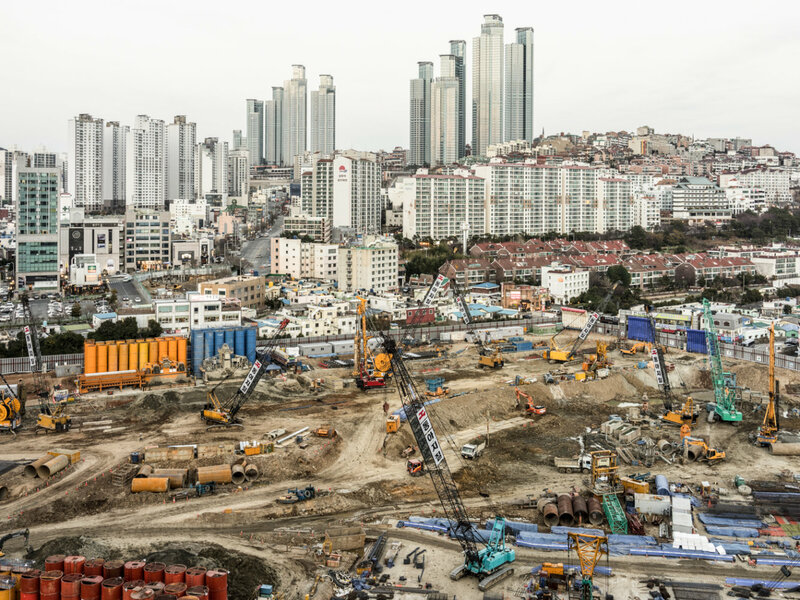 In South Korea, a particularly monotone form of construction has prevailed since the economic boom of the past decades, which is swallowing the country’s architectural diversity. 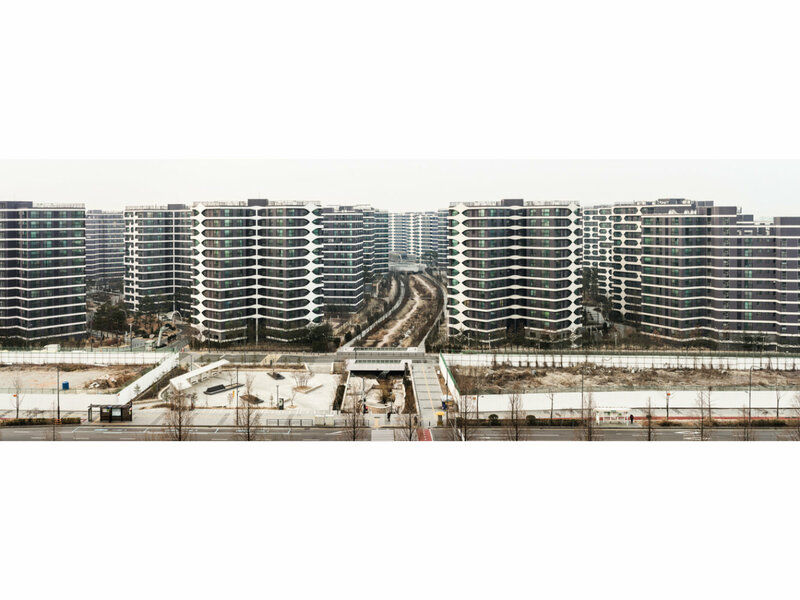 Most people now live in urban agglomerations. 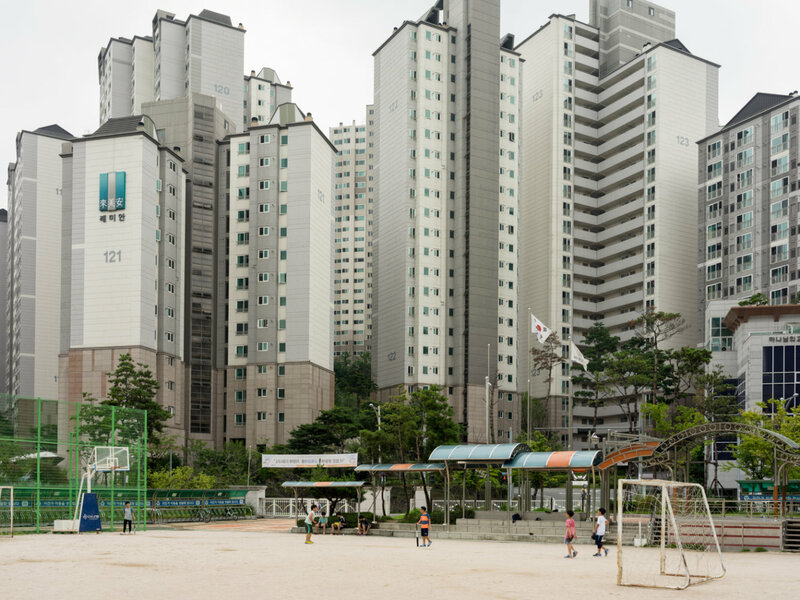 Here, older neighborhoods with their mix of traditional Hanok and later post-war architecture are being torn down piece by piece and replaced by mass housing high rises. 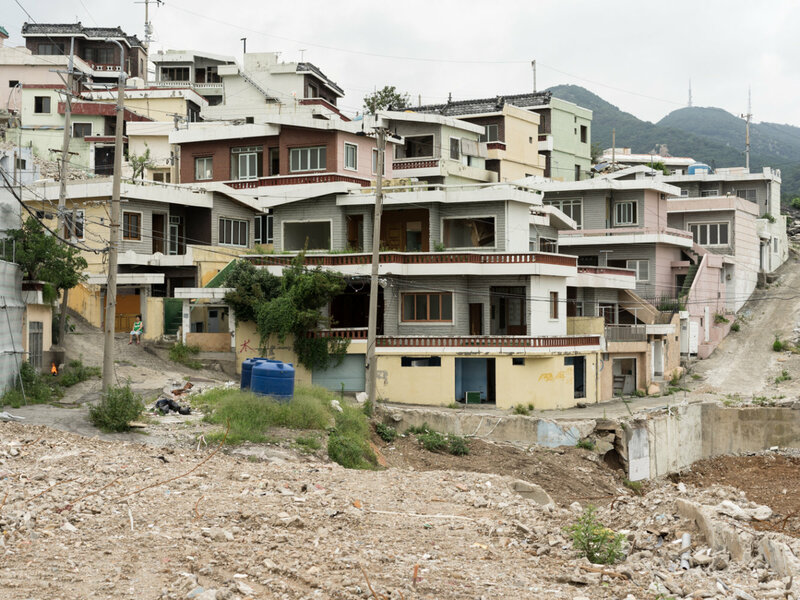 In the midst of the upheaval, the city still appears to be a collage of different forms and styles that recede into the background or disappear completely. 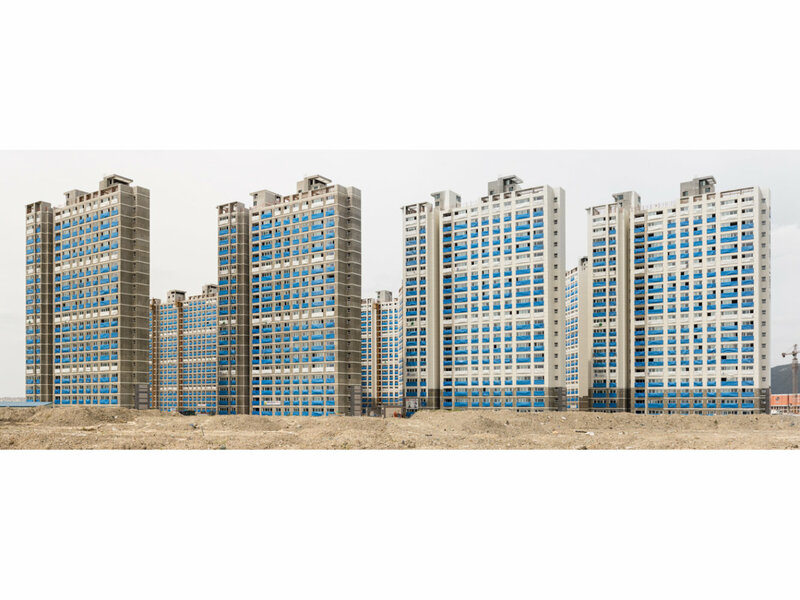 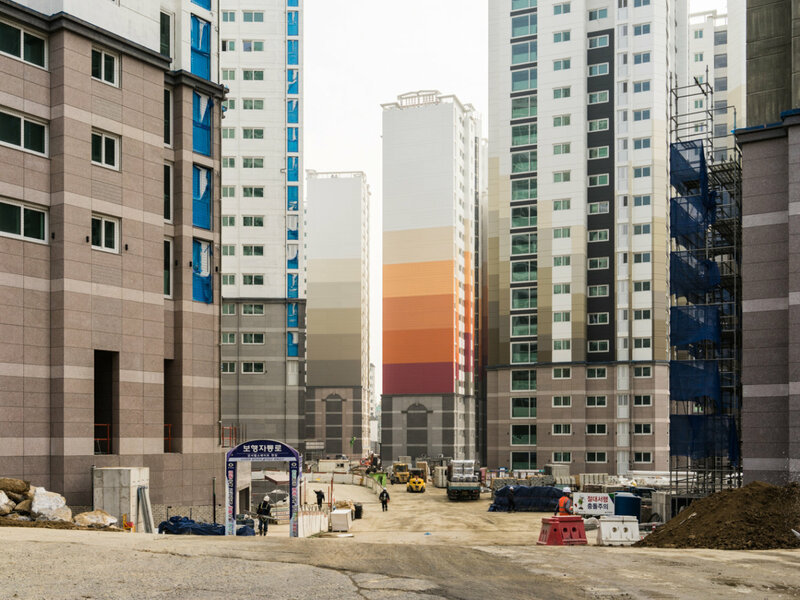 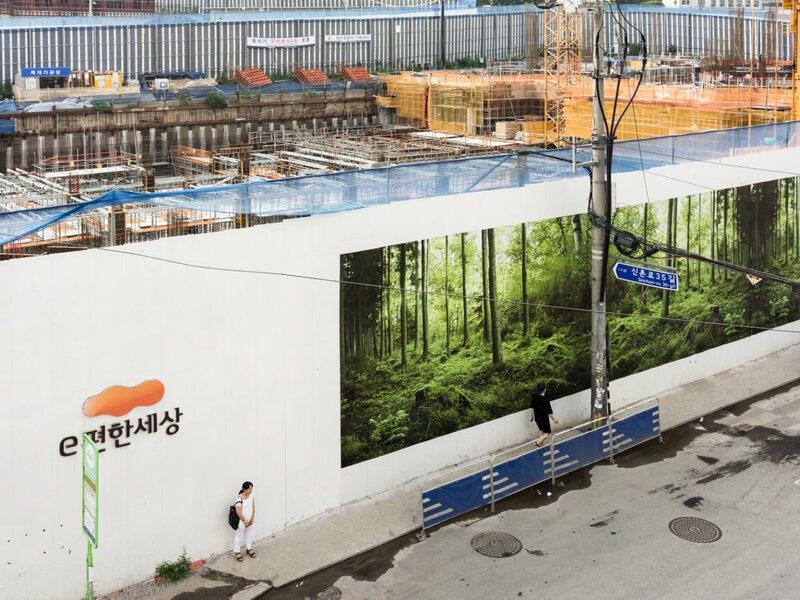 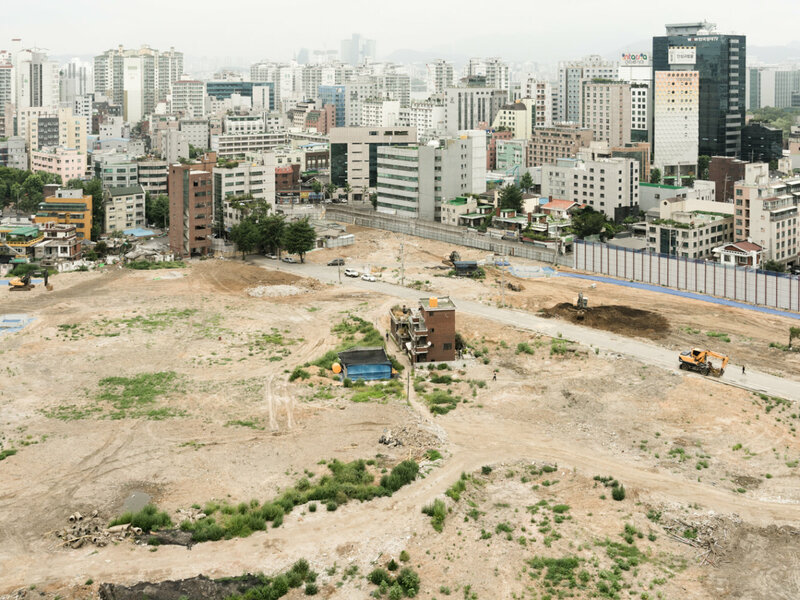 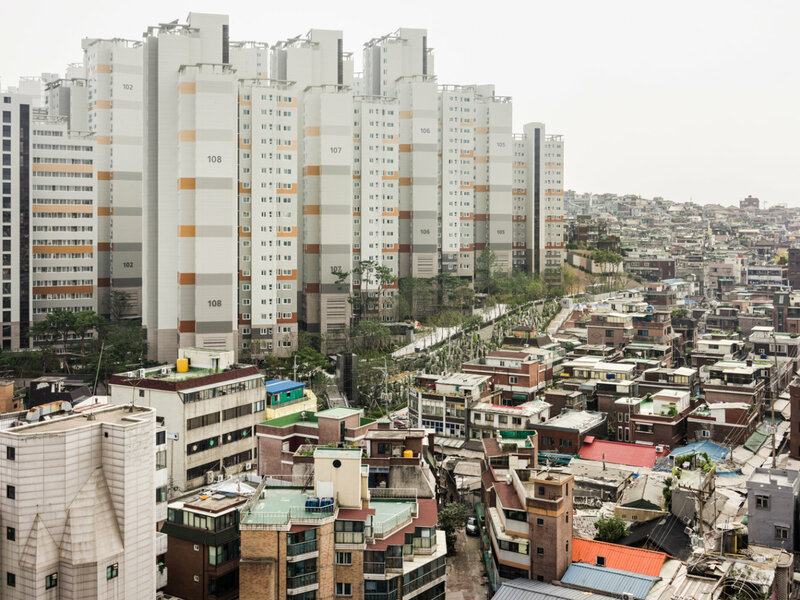 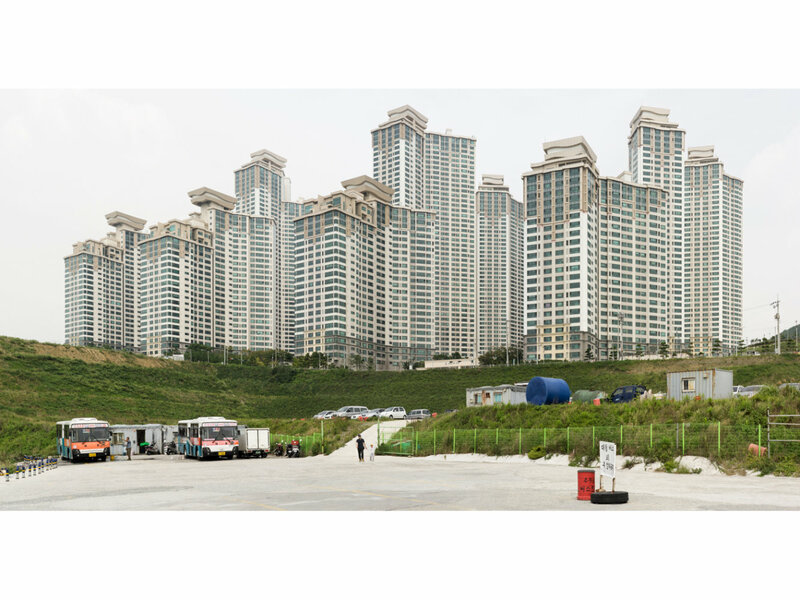 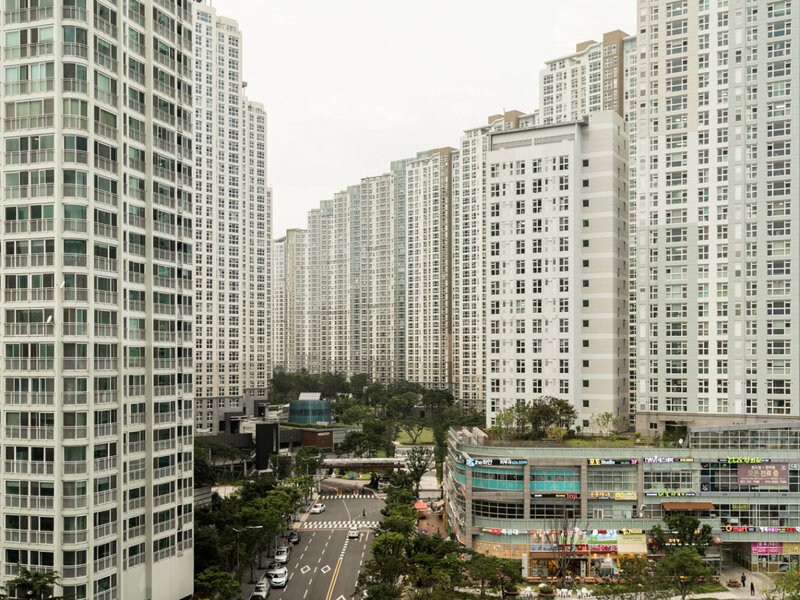 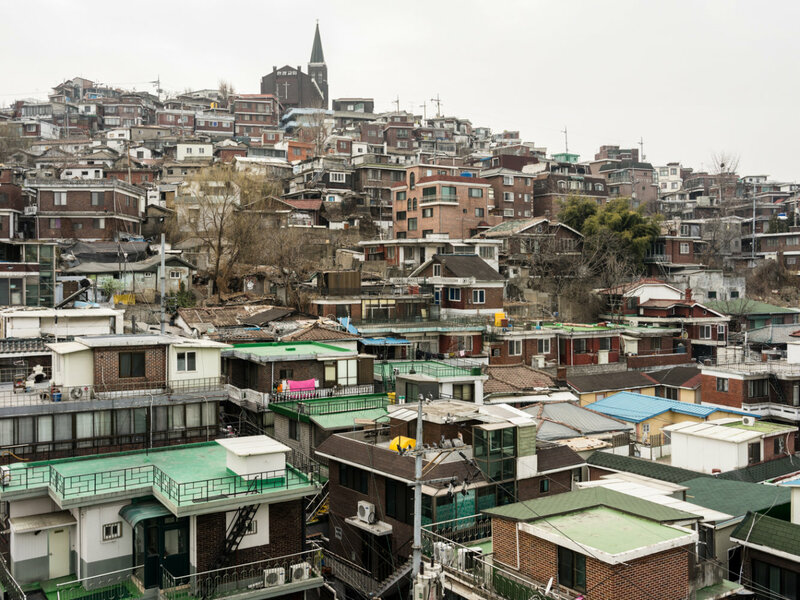 With perfect precision, photographer Jaeuk Lee has documented the transformation of urban areas in Busan, Seoul and other South Korean cities since 2014. 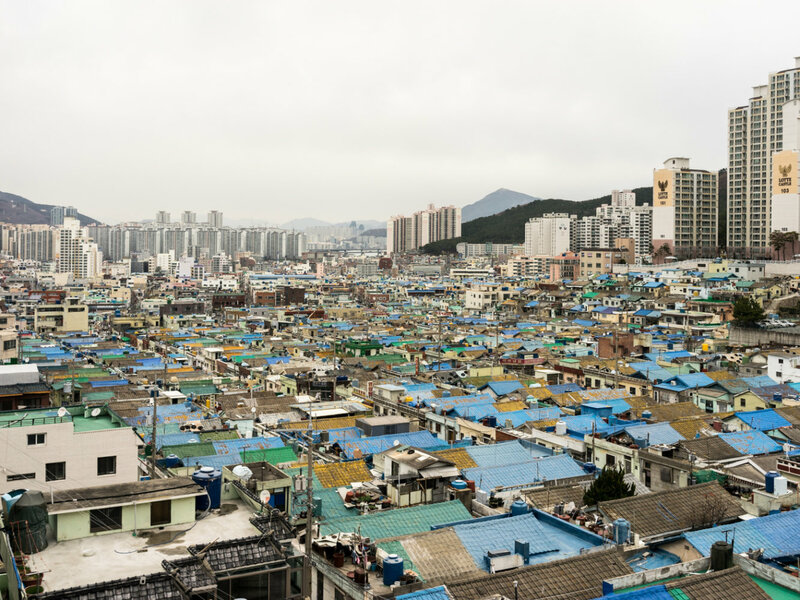 Lee was born in 1980 in Busan, South Korea. 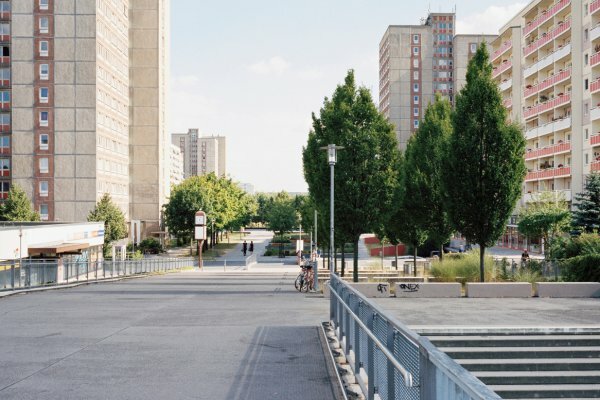 He lives and works in Bremen, Germany. 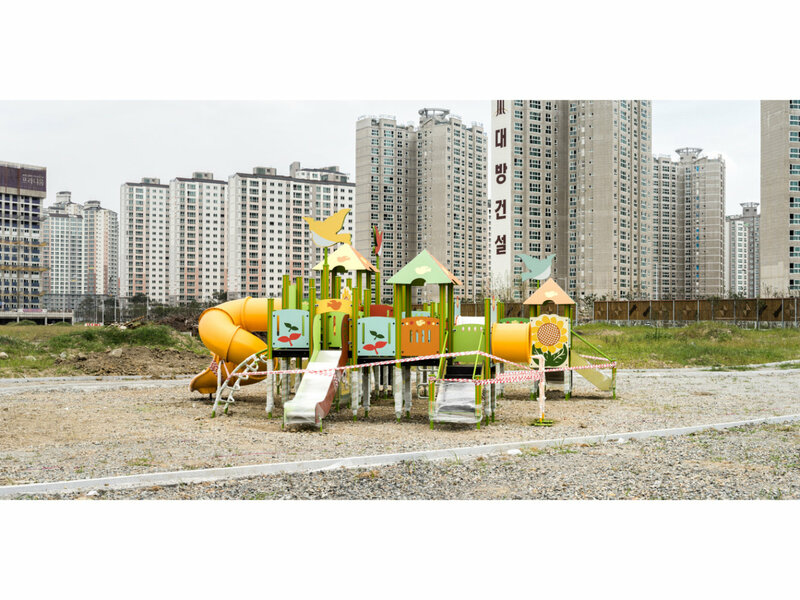 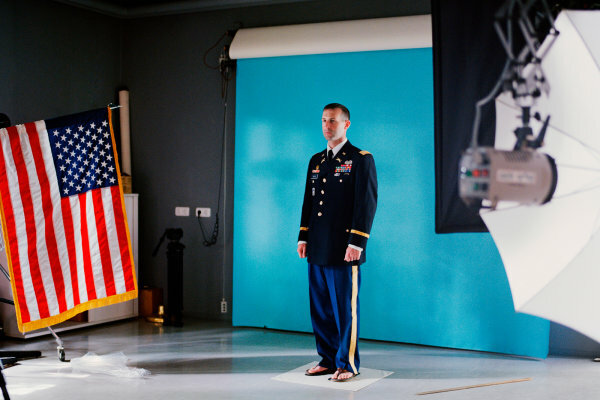 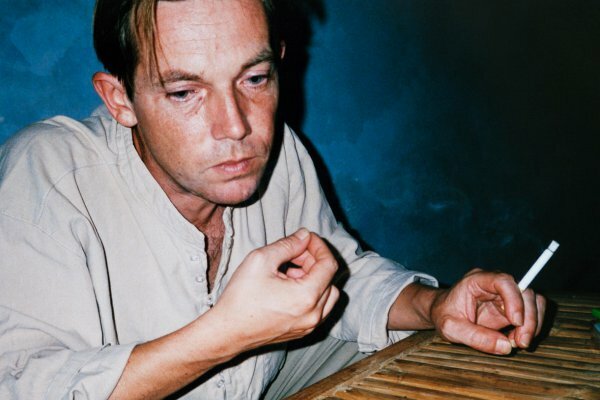 A student of photography, with New Town he graduated from the Bremen Academy of Arts with an MA in Integrated Design – Studio Culture and Identity in 2016 (Professors Peter Bialobrzeski and Andrea Rauschenbusch).